Conference call etiquette: While the unwritten rules of conference calling are certainly not hard to follow, there are a few bad conference call habits to be aware of that can drive your fellow callers nuts (whether they tell you or not). While some of these conference calling no-no’s may seem like common sense (like calling in late to a conference), you might be surprised at how often some of these bad habits can detract from the overall experience of a conference call for all involved. With the new year just around the corner, we thought we’d share some of our top bad conference call habits. Have you ever been on talking with people on a conference call when another caller joins in and all of the sudden it sounds like you’re in a bustling coffee shop? When joining a conference, be aware of your surroundings as well as any ambient noise you might be bringing into a call. If you must call in from a noisy setting, be sure to at least mute your line while you’re not speaking as to keep the background noise to a minimum. Speaking of bringing noise into a conference, there’s no bigger culprit for noise, echoing, feedback, and overall diminished call quality than speakerphones. While we realize that speakerphones are a necessary evil in some situations, they are often the root source of a variety of conference call disturbances. Based on the collective experiences of our Customer Support Team, who deal with audio-quality conferencing issues on a daily basis, we strongly advise against the use of speakerphones during a conference call unless absolutely necessary. Maybe you’re in line at Starbucks or driving your kid home from school while tuned in to a conference call. Regardless of whatever else you’re doing, you’re not going to be able to give the call your undivided attention—no matter how good you are at multitasking. If you’re planning on taking part in an important conference call, try to adjust your schedule so that you can your conference call—and anyone else participating in it—your all. Have you ever tried to quietly sneak in late to a meeting in an office conference room only to be greeted by stern looks of disapproval by your colleagues? Just as you’d try to be on time for a business meeting or a Sunday church service (if that’s your thing), it is usually just as important to call in punctually for a scheduled conference call. 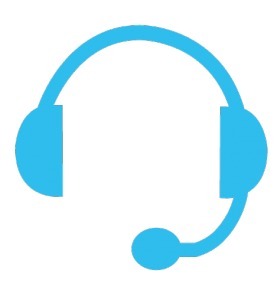 In addition to being tuned for any important announcements and introductions that may take place at the start of a call, calling in on time ensures that your entry into a conference call does not cause any name announcement or entry chimes that could potentially disrupt a call in progress.